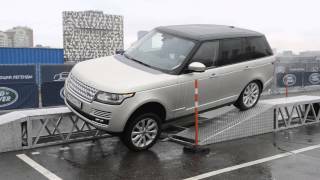 Watch the first Live Test Drive of the Range Rover Evoque at Land Rover Experience - Eastnor. 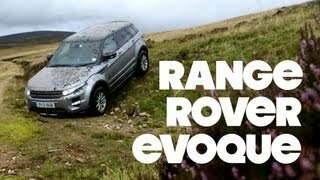 To book a test drive, visit www.landrover.com/vehicles/range-rover-evoque/index.html. Don’t miss out on our Live Test Drives every Friday in April on Periscope. ive just bought a black pack HSE dynamic LUX. pick it up on monday. my dream car!!! 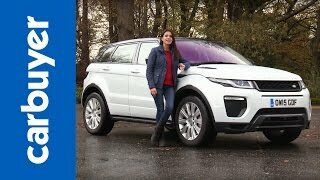 Is this the Evoque Autobiography or are these features standard? 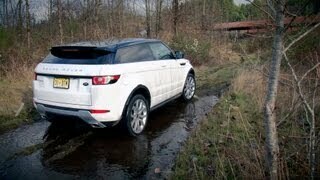 In my opinion the Evoque is better looking than the sport but it can't beat the basic Range Rover. This is also "cheap" compared to the other models. 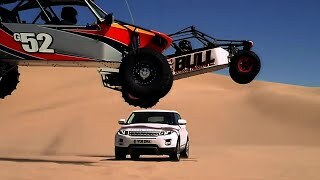 Well done Land Rover! Olli Roininen how much is it? 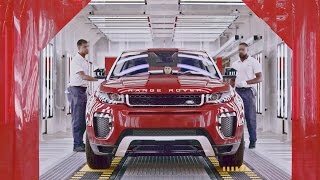 What was that vibration/creaking-like sound during and just after the articulation test? nothing soo fantastic for me. Many of you are ignorant in the comment section.. 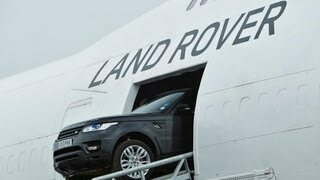 It is a Range Rover. 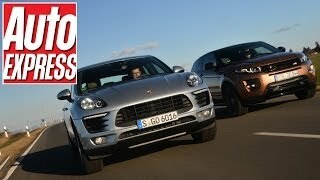 These SUV's and CUV's were made to compete with the G Wagon and all of Jeep lineup.. 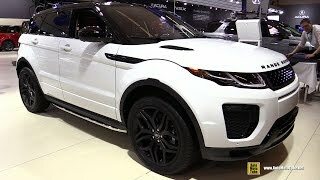 The Evoque was originally made to be the sub compact version of the Land Rover Range Rover at a reasonable price. Too many buttons! I don't want to "program" my car. I want to get in, turn the key, shift the gears, and go! Why on earth do you need a "gear indicator"? If you don't know what gear you're in, you are surely not properly operating your vehicle! (I have videos posted to my channel, of the vehicles I drive). But... 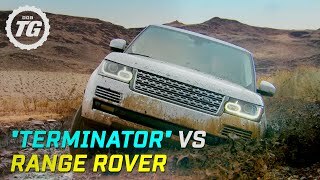 This is a great video, showing how technology may help certain drivers who are not adept in driving "off-road". +Kickinpony.66 I was gonna make a joke but the joke became too dirty for YouTube comments so I ended up writing this one about the other comment that I wanted to write about. Sorry - didn't mean to be faceitious. Yes they are button crazy and one of the most annoying is the "eco" which switches the engine off everytime you stop at a set of lights etc. Admittedly the engine restarts instantaneously when you lift your foot off the brake or touch the throttle. Luckily there is a "button" to switch it off but you have get used to the car to remember to switch the mode off as soon as you pull out of your drive. The owners book is the size of an average Penguin paperback. I don't think any owner will utilise all of the features that the car offers which in fact means that a lot of money has been paid for gadgets that you may never use. 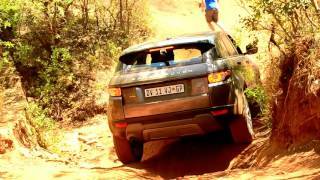 BUT it is a great car to drive and as you would expect feels safe and sure footed and buying through a genuine dealer gives you a complimentary halk day at one of there terrain test centres as in the video. You use their cars not your own LOL. Perhaps complicated is not quite accurate. Lets say the car requires a lot of driver interaction and involvement - much like flying a plane LOL (again). I think you "missed the funny", in my post. :) But, you are correct. I do not own one of these cars, and I probably won't ever be able to afford one. 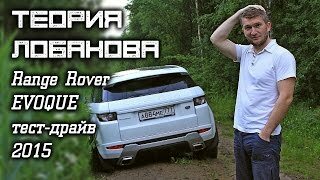 The Evoque seems like a very complicated vehicle to operate. I have a 100 or so videos posted... Most of them are "Dash-Cam Videos", but I do have some other, "more personal" videos posted. would do a few horrid things to get hold of one! Good Lord Man! I hope the suspension is beefy enough to handle that, would rather not spend too much on repairs. Why are there wooden caravans in the opening shot? I'm guessing it's Wales, but really?